Conde Nast has rated Maui as “The Best Island in The World” for 20 consecutive years. There’s no mystery why Maui has held this honor for two decades, Maui is truly a magical island filled with natural beauty and wonder. If you’re looking for romance you don’t need to look far when you’re on Maui. The island’s beauty is the perfect backdrop for romance. Here is a list of romantic things to do on the Valley Isle. 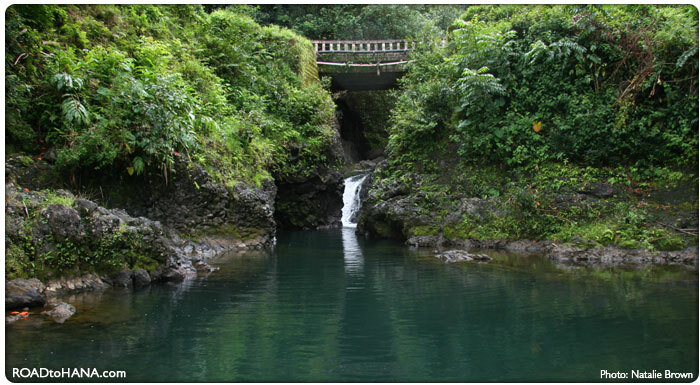 One of the must do’s on Maui is the drive to Hana on the winding Hana Highway. See some of the most beautiful scenery on the island, take a dip at under a water fall, and drive over 59 historic bridges along the way. Book your magical Maui vacation today! The Big Island of Hawaii is the largest of the 8 main islands that make up the 50th. State. It is best known for its volcanoes Mauna Loa and Kilauea. Kilauea is the most active volcano in the world. Its current eruption began in 1983 and has added over 500 acres of new land to its southeastern shore. 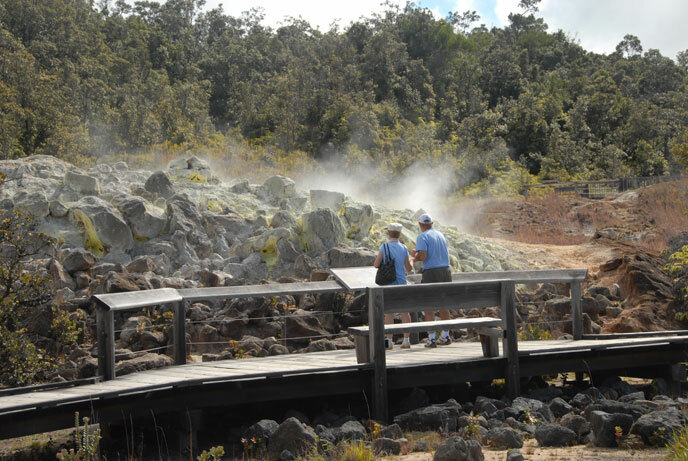 Many activities on the Big Island center around the volcanoes, both of which are easily accessible to visitors. They really are a site to behold, but are not the only things the Big Island has to offer, specially for those looking for romance. Here is a list of romantic things to do on this island. 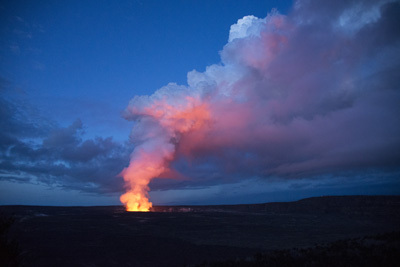 No trip to the Big Island would be complete without a visit to Hawaii Volcanoes National Park. Take a drive along its main roads, Crater RimDrive and Chain of Craters Road. Both roads have scenic stops along the way where you can pull over to see some of the park’s points of interest. 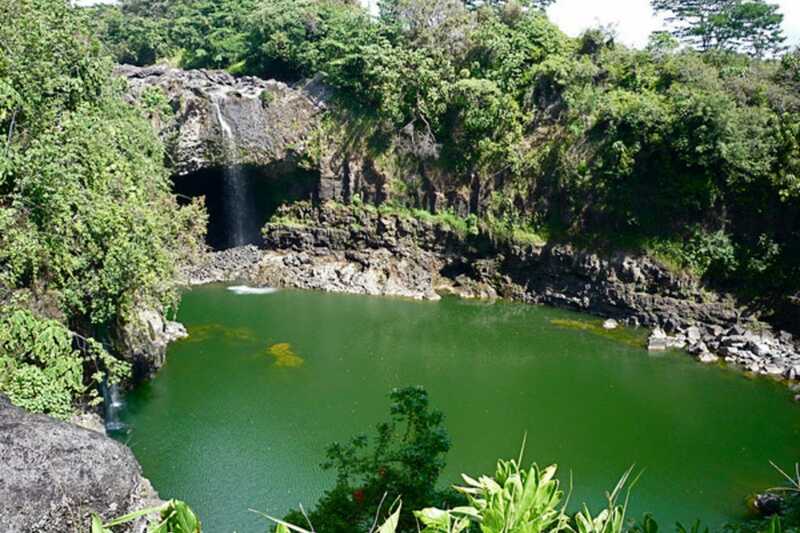 Among them is the Thurston Lava Tube, a definite must see. 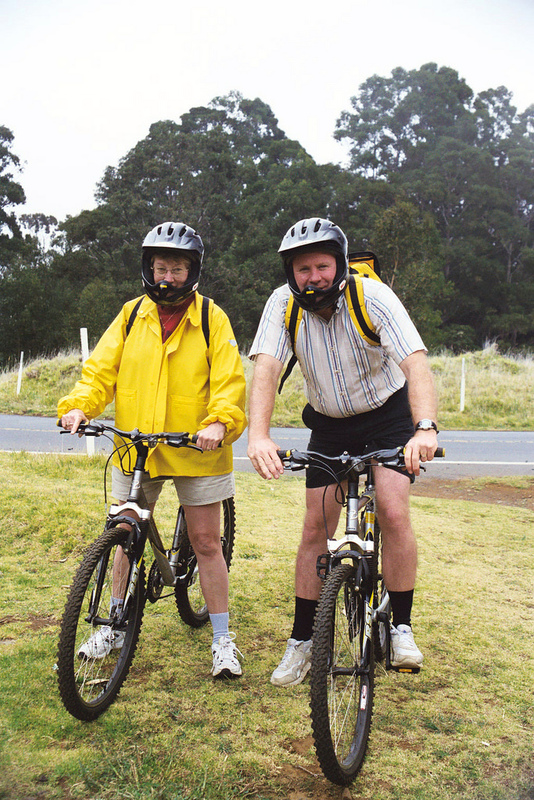 Hike or bike one of the park’s many trails for an up close look at the wonders of the volcanoes. There is some risk to visiting an active volcano area, be sure you check in at the Visitor Center for current conditions and road closures. The official National Park website can help you plan your visit. Click here to be directed to the NPS site. See the lava flow into the ocean on one of the Lava Boat tours. Sunrise and Sunset tours are available. Take a dip in Champagne Pond. 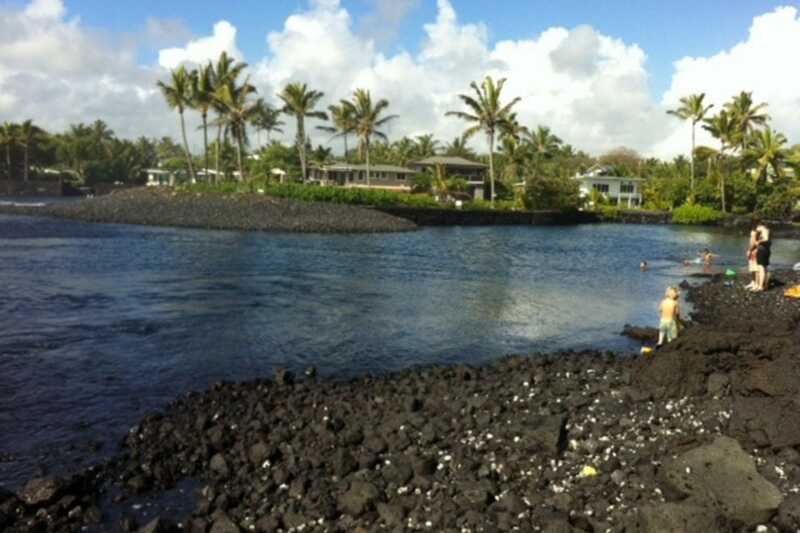 Nestled on the Puna Coast in a residential area the pond is heated by natural geothermal heat. The pond is always pretty calm making it an ideal place for swimming and snorkling. 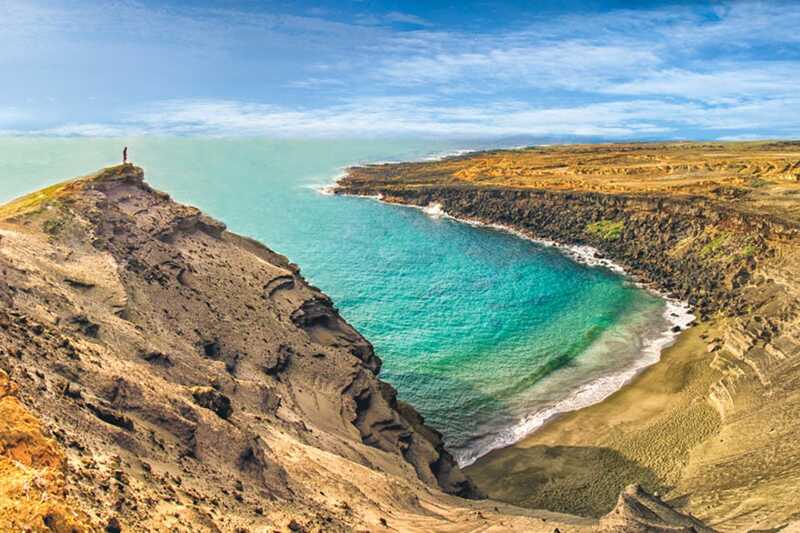 Stroll on the sands of Papakolea Beach, also known as Green Sand Beach due to the greenish color of the sand. The sand is made up of olivine, a semi precious stone created by the volcano eruptions. The water is very turbulent here so don’t go swimming. Take an early morning drive out to Rainbow Falls State Park. Swimming is prohibited but you can see this scenic spot from the look out, you may be treated to rainbows in the mist of the falls. Waipio Valley, Hawaii’s version of the “Valley of the Kings”, on the northern Hamakua Coast is steeped in legend and history. The valley was the childhood home of King Kamehameha I and was an important political and religious center in Hawaii. Today it’s not only an important place for Hawaiian history and culture it is also a an awesome place filled with dramatic beauty. You can view the valley from the lookout or walk in and hike through the forest to the beach. Click here for more hiking info. Drive or hike to the summit of Mauna Kea the largest volcano on earth. The spectacular sunsets on the volcano is a must see. Children are not allowed to the summit due to altitude sickness. Persons with heart and lung issues should check with their doctor before attempting to go up to the summit. Click here for more info and directions. Stargaze at the Mauna Kea Visitor Information Station. The skies above the mountain are usually clear and perfect for stargazing. The VIS has a free nightly stargazing program that includes telescopes operated by knowledgeable staff and volunteers. Click here for more info and directions. 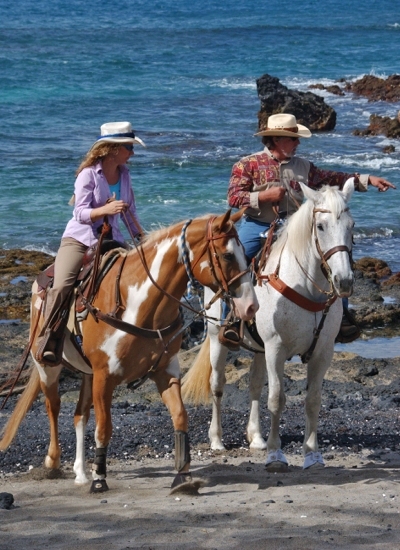 Book your Big Island romantic advnture here! The mere mention of “Hawaii” calls to mind, pristine beaches, crystal clear warn waters, and amazing sunsets; all the ingredients for a romantic getaway to the Aloha State. Every island has its own charm and beauty, and you can find romance on all of them. The 50th. State is an island archipelago made up of 8 main islands, several atolls, numerous islets, and undersea seamounts. Over all there are more than 100 islands that span 1500 miles from the the Big Island of Hawaii to Kure Atoll. The 8 main islands are Hawaii, Maui, Oahu, Molokai, Lani, Kaui, Ni’ihau, and Kahoolawe; all but the last are inhabited. The Island of Oahu, also known as The Gathering Place, is the most populated island and is the seat of the state’s government. The state capital Honolulu is on Oahu. Here is a list of romantic things to do on this island. 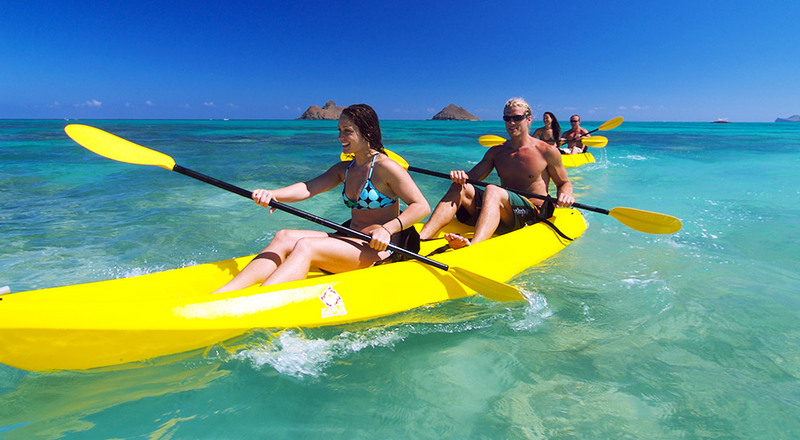 Rent a kayak for a day from Kailua Sailboards located a block away from Kailua Beach. Paddle from Kailua Beach to Popoia “Flat Island”, Moku Nui (the larger of “Twin Islands” or Na Mokulua as both islets are known), and Lanikai Beach. Na Mokulua islands are both part of Hawaii State Seabird SanctuaryMoku Iki, the smaller of the two, and the interior of Moku Nui are off limits to visitors. Popoia Island is also part of the bird sanctuary. 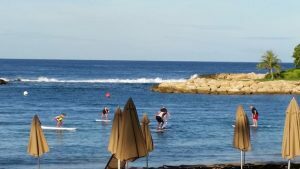 I boasts a tranquil strip of sand that is popular among kayakers and surfers when conditions are right. 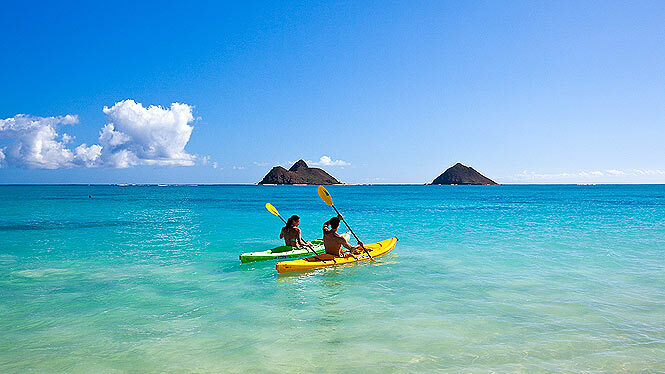 The island offers magnificent views of the near by Na Mokulua island, Kailua Beach, and Lanikai Beach. Lanikai Beach is always on someone’s list of top 10 most beautiful beaches in the world. It’s known for its extra fine white and and clear turquoise water. 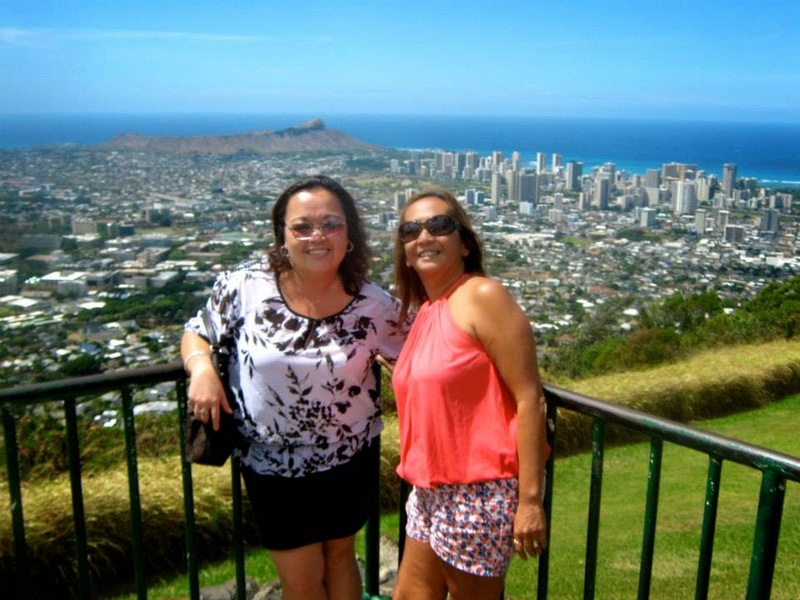 Take a drive up Tantalus Drive to the lookout in Pu’u ‘Ualaka’a State Wayside. Drive past lush tropical foliage and stately homes on your way to the Wayside which is part of the Hawaii State Park System. The lookout offers sweeping views of Honolulu from Diamond Head to Pearl Harbor. Pack a picnic lunch and enjoy it on one of the picnic tables in the park. If you’re up to it take a short easy hike on the ‘Ualaka’a Trail. The trail loops through thick forest canopy. Enjoy a picnic and a swim at Kualoa Beach Park on Oahu’s windward coast. Set sail for a romantic sunset dinner cruise aboard The Star of Honolulu. Take a drive along Oahu’s North Shore. Book your romantic Hawaiian vacation here! Whenever I’m asked me where I live I always get the same reaction when I tell them that I live in Hawaii. My declaration never fails to impress. Whether it’s a taxi driver in Rome, the tour guide in Russia, a shop keeper in Istanbul, or fellow travelers on a cruise ship, my response is met with awe mixed with just a tinge of envy. It seems that the 50th. State is on almost everyone’s travel bucket list. The mention of Hawaii invokes images of pristine beaches, crystal clear ocean, and amazing sunsets; it promises adventure, luxury, and romance. Hawaii is all of that and more. Our islands abound with beautiful beaches, exotic sealife, and exquisite sunsets. 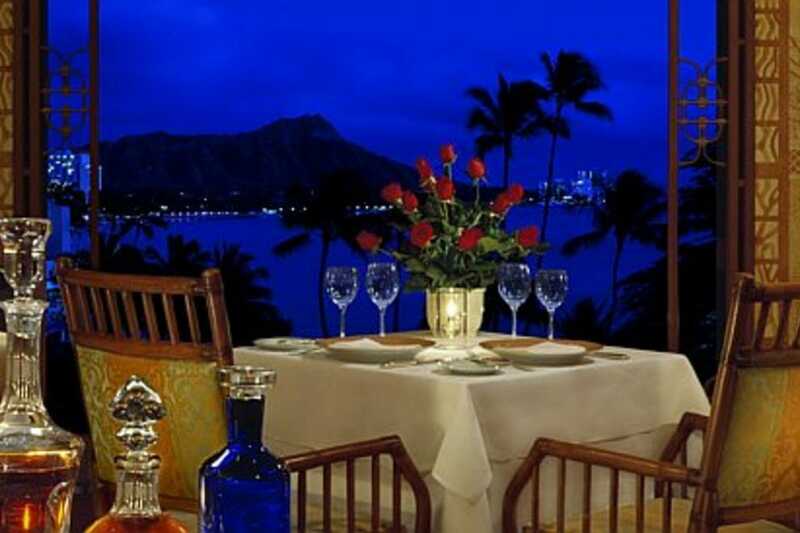 If you’re looking for romance Hawaii is the perfect destination for Valentine’s Day. Our world class resorts with their friendly staff will surpass your expectations. Here is a list of the most romantic hotels on our islands. Perhaps it will inspire you to visit our lovely islands. It is located in Waikiki on the island of Oahu. 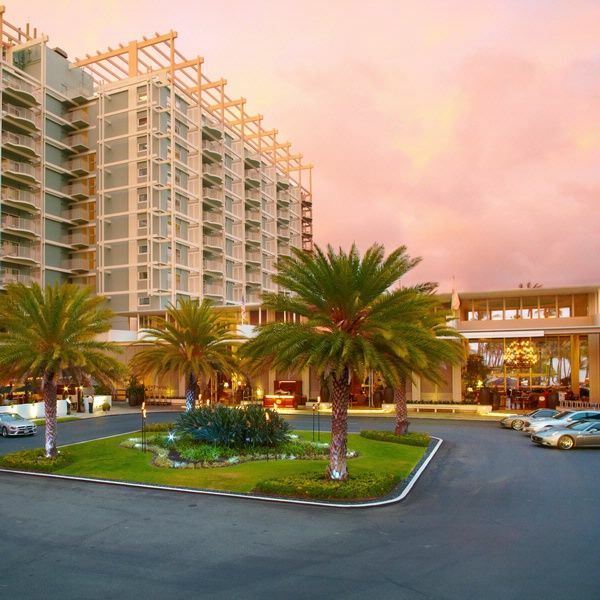 The resort is nestled in a 15 acre tropical garden on the shores of famous Waikiki Beach. Book your romantic getaway here! 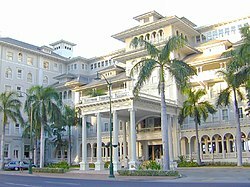 The Moana Hotel also know as The First Lady of Waikiki. Its door opened on March 11, 1901, today it is a Westin Hotel. It has been listed on the National Register of Historic Places and is a member of Historic Hotels of America. 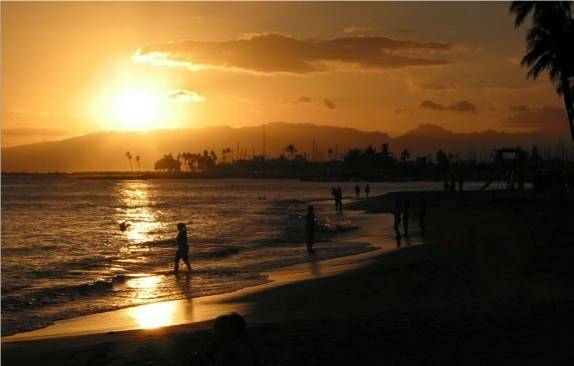 It is located in the heart of Waikiki on the island of Oahu on the shores of Waikiki Beach. Indulge in a sumptuous afternoon tea on the veranda that’s steps away for the beach. Located on Oahu’s Gold Coast The Kahala Hotel & Resort has it all; luxurious suites, award winning restaurants, and dolphins. 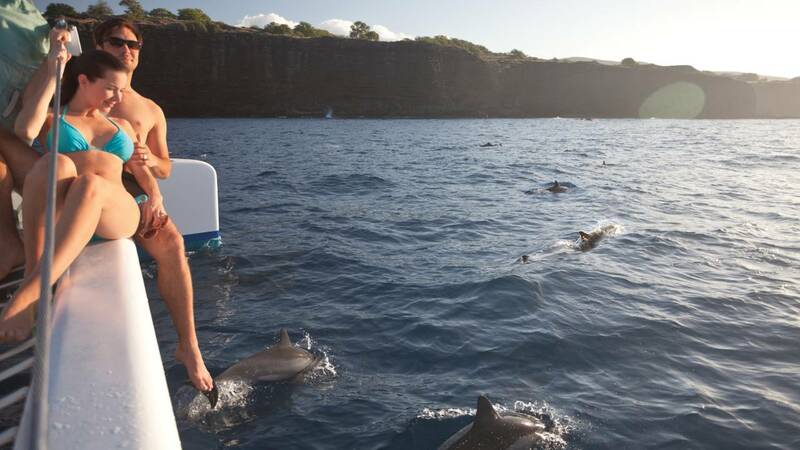 Have a personal encounter with these intelligent creatures right in the hotel’s lagoon. Located in the resort community of Princeville in Hanalei on the northern shore of The Graden Isle, Kaui, is the St. Regis Princeville. This resort marks this legendary brand’s first resort in the 50th. State. Enjoy unparalleled sophistication and serene luxury on what many consider to be one of the most spectacular destination in Hawaii. Book your luxury vacation here! The Four Season Resort Lanai at Manele Bay has everything you’ve come to expect from a Four Season’s property. 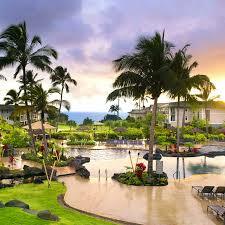 The Ritz Carlton Kapalua on the island of Maui is luxury at it’s finest. Hike through the island’s lush forest, snorkel among Maui’s coral reef, or get pampered in a cabana by the pool. Whatever your interest the Ritz Carlton staff will provide you with a memorable experience at one of Hawaii’s most beautiful resorts. Book your unforgettable vacation here! 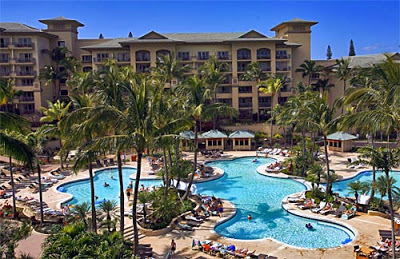 The Grand Wailea, A Waldorf Astoria Resort is in Wailea on the island of Maui. On the shores of Wailea Beach the resort boast 9 sparkling pools, champion golf courses, award winning restaurants, and spectacular views. Book your dream vacation here! 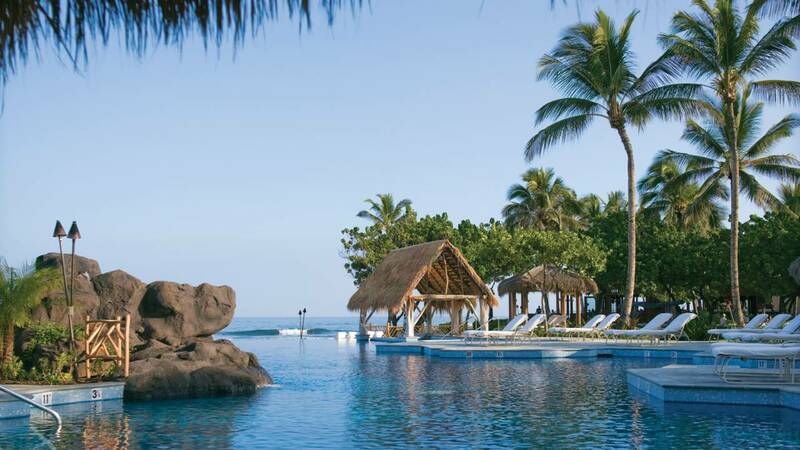 The Four Seasons Resort Hualalai at Historic Ka’ūpūlehu in Kailua Kona on the Big Island of Hawaii. This resort will exceed your expectations of a Four Seasons property. Impeccable service, outstanding food, and views to die for. Book your romantic vacation here! Book your Hawaii dream vacation here today! 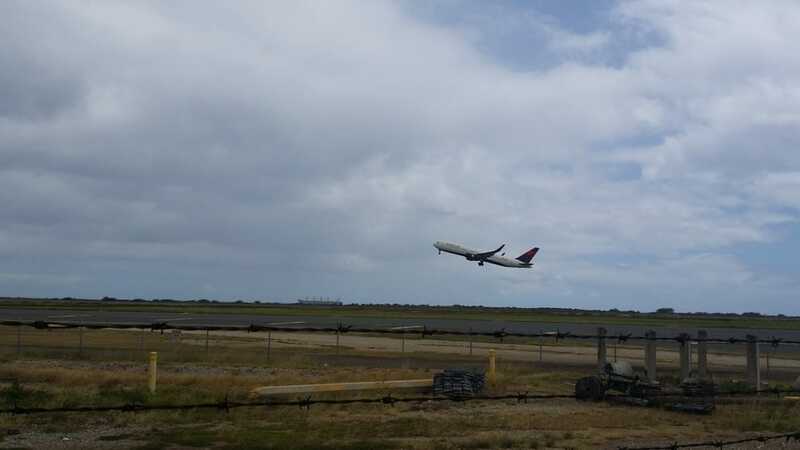 I know when you hear Hawaii images of beaches and palm trees swaying come to mind. I doubt you think “waterpark”. Yes, Hawaii is home to some of the world’s most beautiful beaches. And yes when you visit or live on the islands you will definitely find yourself at one of our world famous beaches, it’s what we’re known for! But when you have kids to entertain, and even if you don’t, a waterpark maybe just what you need. Hence a trip to Wet ‘N’ Wild Hawaii is a good choice. Wet ‘N’ Wild Hawaii is Oahu’s one and only waterpark. Located in Kapolei on Oahu’s Leeward side the park isn’t huge, but it’s packed with slides, pools, and other fun water attractions. 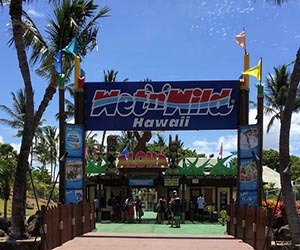 My family recently spent the day at Wet ‘N’ Wild Hawaii. We took my twin grandkids, Sadi and Harper, 20 months old, their cousin Chase, 2 years old, and my grandsons Dion, 13, and Devon, 8. All of them had a blast! 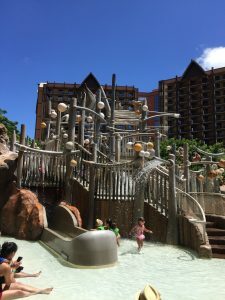 The toddlers enjoyed the Keiki Kove, the children’s splash zone. Keiki Kove was just their speed! It’s filled with small slides, spraying water, and Sadi’s favorite, the mushroom shower. And we all loved the Kapolei Kooler, the park’s lazy river. Here are a few things you need to know for your day at Wet ‘N’ Wild Hawaii! From the Ko’olina Resorts (including Disney’s Aulani) – Take HI-93E to exit 1B to HI-93W (in Makakilo) this will take you back to the parking lot, it will be on your right. Right now thru the August 31, 2016 there is a Ka’amaina Special – Wednesday only $25 for Adults & Juniors with a state ID. Admission tickets don’t include parking, special events, cabanas, lockers, personal tubes, mini-golf, or the flowrider. You may not bring outside food in to the park, they check bags before the gate. You may bring water. Lockers are located behind the Guest Services Counter. You can rent them from the machines in front of the lockers. Small locker (will barely fit a backpack) $13, Large locker (2 backpacks) $18. Look out for specials, they seem to be always running them! Or you can buy a season pass for the price of the General Admission. (you can upgrade this for $25 to include parking, mini-golf, and other things). Here’s a short video of our day at Wet ‘N’ Wild Hawaii! One of our favorite Disney activities is a the Character Breakfast at a Disney Resort. 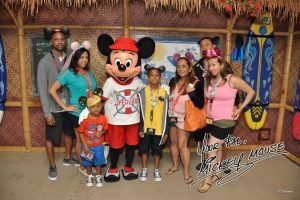 Until recently we had to fly to Orlando or Los Angeles to participate in this activity at either Disneyland or Disney World. Now we can have breakfast with Mickey and his friends right in our own backyard at Disney’s Aulani Resort and Spa. Last week we took the twins to the resort for the Character Breakfast. I’m not too sure the twins were thrilled to see their favorite Disney characters up close and personal, it’s one thing to watch them on TV, another thing to see the over-sized mouse at your side. But we enjoyed it!. We’ve been to several Character Breakfasts at the other Disney resorts they’re all pretty much the same. 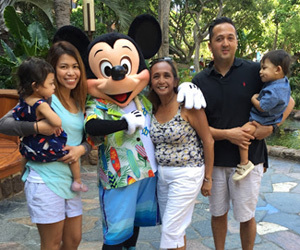 A photo op with Mickey before you’re seated, a breakfast buffet, and other Disney characters stopping by your table. So what makes Disney’ Aulani Resort Character Breakfast different? The breakfast buffet is pretty impressive. The kid’s buffet offers their signature Mickey Mouse waffles, which the twins loved. This section also offers bacon and eggs, just like the other buffets do. The next section is filled with fresh fruit and pastries including this adorable “dolphin” banana in a pail of blueberries. Harper’s favorite! The buffet also offers Portuguese Sausage, scrambled eggs, fried rice, and grilled local fish as well as an omelette station at the end. Don’t miss the Pina Colada yogurt, it’s delish! Disney’s Aulani Resort’s breakfast buffet definitely offers more choices than the other Disney Character breakfasts buffets I’ve ever been to. I was stuffed for the rest of the day! During breakfast we were visited by Goofy and Minnie. The twins were not happy! We were also entertained by Auntie who played the ukulele and sang for us. She led the children in a couple of parades around the restaurant, adults were welcome too! By the way this character breakfast isn’t just for kids! There were plenty of folks that weren’t accompanied by kids. In fact the table next to ours held a group of young ladies who were staying at the hotel for a bachelorette party! They had a great and memorable time! So don’t be shy, go a head have breakfast with Mikey! The buffet cost $35 per person and includes juice and hot beverages. Kids up to 9 are $18 and kids under 2 are free. If you’re not staying at the resort you can valet park for free with validation. The validation is good for up to 4 hours so you can walk around the resort grounds and have a look around after breakfast, it’s so worth it! We liked it so much we’re planning on booking a staycation soon! There are other pools on the property some tucked away in a corner for a bit of privacy. There are also 4 whirlpool spas as well. And don’t forget the beach is just steps away! Where you can rent water sports equipment.